Electrical noise is a consideration that engineers think, talk, worry, sometimes obsess about, and deal with nearly all the time, with few exceptions. In many applications, it is the limiting factor on ultimate achievable system performance. If it were not for the existence of noise, many design situations would be far, far easier. Noise is an inescapable fact of design life due to the laws of physics regardless of whether it is a minor, modest, or major consideration in a system and circuit. Noise has an impact on both analog designs as well as digital ones, which at their basic physical level are actually analog channels even if the information is in digital format. Q: That’s interesting, but what is noise? A: It’s a random signal which adds to and corrupts the desired signal. In some cases, some or most of the noise can be eliminated by filtering or other techniques and the original signal can be recovered perfectly; in other (and most) cases, it can be minimized but it is rarely eliminated although its effects can be managed and contained. Noise is a stochastic process, meaning it has underlying, uncontrollable random events, and repeating the same experiment does not yield identical results. In contrast, in a deterministic system, the results will be the same each time for the same test. Q: What are the negative effects of noise? 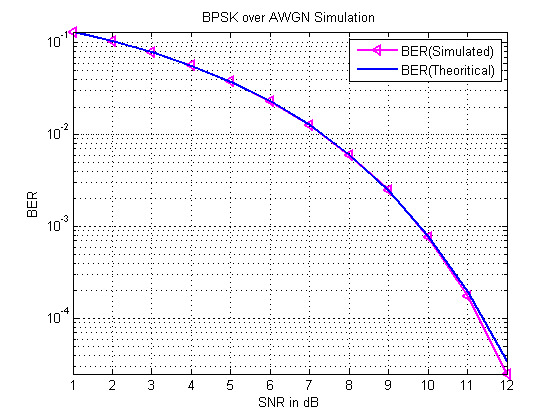 A: It reduces signal-to-noise ratio (SNR) thus increasing bit error rate (BER) in data links, Figure 1. It also makes it harder to recover a weak analog signal from a high-performance sensor. It can cause errors in timing and associated clock synchronization in data recovery. In short, noise has many manifestations and varied impacts of performance; some of these are immediately obvious, but others are not. Q: Does noise only cause additive errors? A: Yes and no. In most cases, noise adds to the desired signal, yet its actual impact may not appear as a simple addition to the voltage (or current) value of the signal. For example, noise added to a signal can shift its zero crossings, thus changing the apparent frequency (or phase) of that signal; in these cases, it is called frequency noise (or phase) noise. Note that noise is not only a consideration for low-level, sensitive signals and systems (analog and digital). It can also affect motors and industrial applications which operate from full line voltage. Q: How is noise quantitatively described? A: There are many ways. First, since noise is a random attribute and its exact value at any instant is unknown, it can only be characterized by various “big picture” characteristics rather than its value at a specific time point. After all, if the value of the noise at any instant were known, it could simply be subtracted, and it would no longer be a problem. Q: What are some of these ways noise is characterized quantitatively? A: Noise power can be measured as root mean square (rms) noise or peak noise value, among other ways. (Note that simple “mean” or average noise value is usually not useful, since most — but not all — noise types are zero mean.) It can also be specified over a defined frequency band that is relevant to the application, such as from 10 kHz to 100 kHz, while ignoring out-of-band noise. It can be measured in volts, or as noise power (usually dBm) as an rms voltage (identical to the noise standard deviation) in volts or dBμV. Noise is often also characterized by its probability distribution and power spectral density (PSD) as N0(f) in watts per hertz, Figure 2. There’s even a designation called V/√Hz, A/√Hz (of course, in practice, that first unit is much more likely to actually be mV, uV, mA, nA, pA, or fA/√Hz). The “/√Hz” is pronounced “per root Hz” and comes from looking at the spectral density of noise as a root-mean-square (rms) value over a given bandwidth. Q: Why are there so many ways to characterize it? A: It’s due to a combination of reasons: the noise source, historical perspectives, and the application. Q: What are the many perspectives on noise, in addition to the quantitative ones? A: Actually, when noise is discussed, it can be called out in one or more of several ways: by its cause (such as electrical motor-induced noise or crosstalk induced from nearby wires); by its nature and duration (such as impulse or spike noise); by its effect on the system (additive noise, phase noise); and by its “statistics” such as mean value. Depending on the application and user perspective, the noise will be classified by one or more of these attributes. Q: Where does all this noise come from? the motion of the electrons and molecules within the components of the system. For internal noise, there are steps that can be taken to reduce the noise, to some extent. For some applications, such as long-distance wireless links at the lower frequencies under 100 to 500 MHz, external noise accompanying the desired signal is far greater than intrinsic circuit noise. But as frequencies increase in the multi-GHz range, such as for links to satellites and space vehicles and even latest generation smart phones, the external noise is very low and internal component noise becomes the limiting factor. There is also noise in imaging devices which produces “speckles” on the captured image, on microphones which capture acoustic energy, and almost every other application. Q: What are the basic equations governing intrinsic noise? where kB is Boltzmann’s constant in joules per kelvin, T is the absolute temperature in kelvins, and R is the resistor value in ohms. 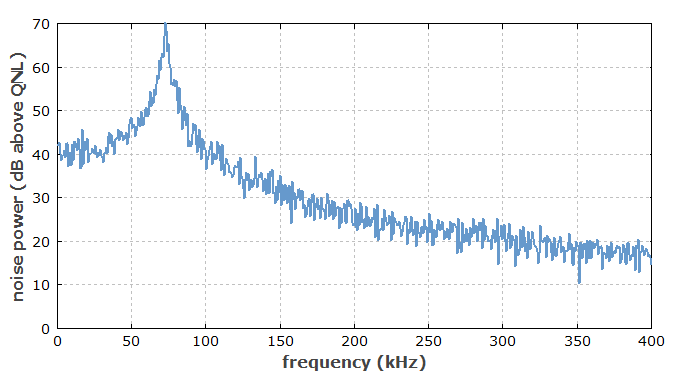 A 1-kΩ resistor at a temperature of 300 K has a noise value of about 4 nV/√Hz. Where Δf is the bandwidth in hertz over which the noise is measured. For a 1-kΩ resistor at room temperature and with a 10-kHz bandwidth, the rms noise voltage is 400 nV. Note that thermal noise function of temperature and can be reduced by lowering the system temperature; for this reason, receivers needing the ultimate low-noise performance often operate at extremely low temperatures, close to absolute zero in some cases. Part 1 of this FAQ has begun to explore the huge topic of noise. Part 2 continues this exploration.